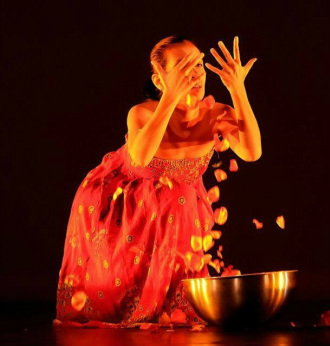 JoAnna M Ursal is a Caribbean-born, 1st-generation Filipina American, raised along the Great Lakes of Northern Michigan with over 20 years of diverse dance experience in the field of pedagogy, cultural studies, world dance traditions, contemporary dance and performance studies. Trained primarily in Afrocuban folkloric dance, Southeast Asian Filipino dance, Modern and Post-Modern Contemporary Dance, Ms. Ursal describes her work as residing at the intersection of contemporary and traditional dance, and has performed with professional folkloric and contemporary dance companies in Los Angeles, New York, and San Francisco including: Emikeke, Grupo Olorun, Namah Ensemble, Palabuniyan Kolingtang Ensemble and Oriza Dance Ensemble. Ms. Ursal’s recent work with Miami-based choreographers and musicians such as Ana Miranda, Carlota Pradera, Juraj Kojs, Toranika Washington, and Gabriel Forestieri to name a few, has given her the wonderful opportunity to perform and collaborate within the vibrant artistic community of South Florida as well as share her solo works throughout the area. Additionally trained in classical piano, percussion and traditional Kolingtang (gamelan music from the Philippines), Ms. Ursal is deeply interested in investigating the interface of movement and sound as it relates to technology and performance studies. With an MA in dance education from of UCLA's World Arts and Cultures Program and an MFA in Dance and Choreography from Jacksonville University, she is committed to teaching, mentoring and training emerging dance artists, having taught most recently as an adjunct professor of dance at Miami Dade College Kendall Campus and Jacksonville University. She envisions expanding and continuing her passion of dance and its related arts through the educational and creative efforts of Atman Dance Collective where she serves as its Artistic Director. Ms. Ursal joined CMN in 2014 and, aside from her duties as CMN's Dance Liaison, she also currently serves on CMN's Board of Directors.